Today, game developers try to do everything possible to make their project successful, popular and really epic. Much money is always spent to create realistic surroundings, characters, unbelievable graphics, and stunning visual effects. The frameworks of graphic reality are incredibly expanded today, but anyway, real people are often used as prototypes of this or that video game character. Every new blockbuster brings us familiar faces, and it’s quite easy to guess what celebrity has become its real-life prototype. Here they are. The top 10 most popular and well-known video games protagonists and characters whose appearance is easy to recognize and find among our favorite actors and models. They look very much alike, don’t they? Everyone who plays Left 4 Dead, or plans to play it anyway, should know about Zoey, a Survivor in this game. A well-known model Sonja Kinski has been chosen as a prototype for this character though designers planned to use Alesia Glidewell first (also known as Chell in Portal, by the way). Sonja is an American model, who was born is Switzerland and moved to California with her family when she was 7. 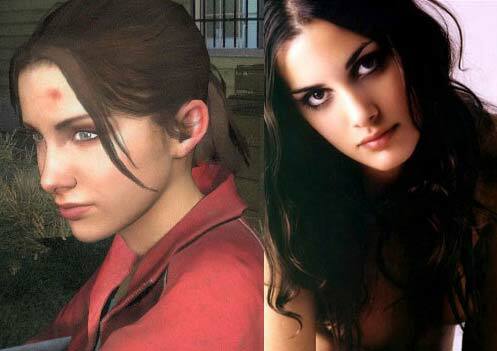 As you understand, Sonja doesn’t bring dual pistols with her as Zoey usually does, but her facial features will definitely remind you this famous Left 4 Dead character. As for Zoey’s voice, it belongs to Jen Taylor. 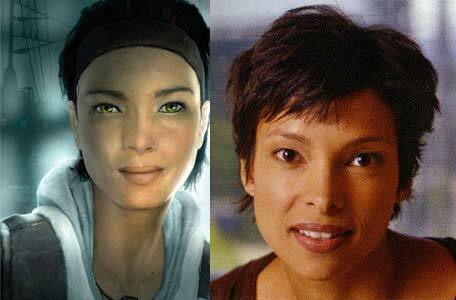 This young woman named Alyx Vance is the character of Valve’s well-known game Half-Life 2. She struggles against the alien race known as Combine, hacking their computer systems and changing them on her own. She is very friendly and athletic, a skilled shooter and vehicle repairer. Her facial features will definitely remind you an American actress and host named Jamil Mullen. Actually, Jamil is widely known thanks to Alyx today. Her small roles in movies as Highway or 25th Hour haven’t made her popular enough. As for Alyx’s voice, it belongs to Merle Dandridge. One of the Mass Effect’s most mysterious characters, Illusive Man, struggles for making humanity the main race in the Universe. 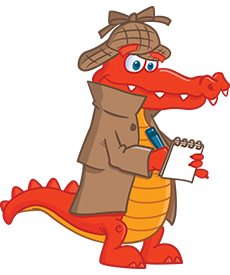 He is a leader of Cerberus at the moment, and his past still remains unknown. Take a look at his silver hair and blue eyes. Doesn’t he remind you of famous American actor Martin Sheen? Martin Sheen is very well-known for his role in Apocalypse Now. 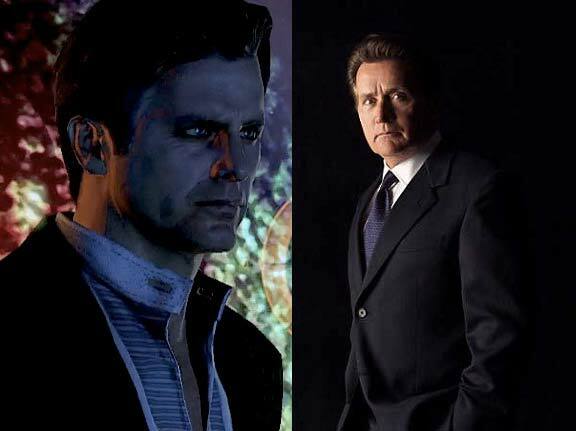 By the way, Mr. Sheen is not only Illusive Man’s face but also his voice. Described as a creature who combines human’s best and worst traits at once, the Illusive Man remains one of the most charismatic characters of Massive Effect. Resident Evil 5 is impossible to imagine without Sheva Alomar, a brave and charismatic agent of BSAA, and a faithful partner of Chris Redfield. She helps him complete all missions, shoots well and performs tricks Chris is unable to. 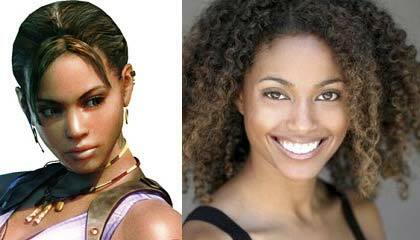 Karen Dyer is believed to be the prototype of Sheva, both with her voice and face. Her real name is Eva LaDare and she is famous for her role in Idlewild. Karen is a television actress and voice artist. Naja Hill and Michelle Van Der Water are also believed to be Sheva Alomar’s prototypes. 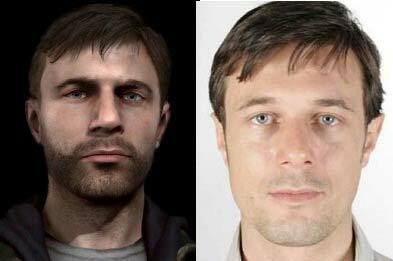 When you play Heavy Rain, doesn’t the protagonist remind you the well-known English character, Pascal Langdale? He gave both his facial features and voice to one of lead characters (there are four of them in general). Ethan Mars lived happily with his family (a wife and two sons), but everything has changed when one of his sons was killed. When Ethan’s second son is kidnapped, he doesn’t want to wait anymore and decides to find a boy. How far will he go to save his son?